Mo is a dead-serious heat junkie. He's rumored to have created the recipe for Batch #37 Habanero Garlic Salsa while on a camping trip in the Mohave Desert. 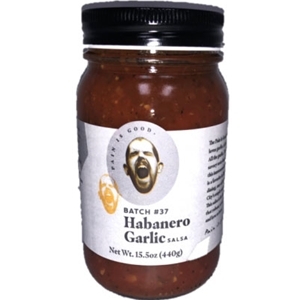 Recreating the intense heat, profuse sweat and fantastic mirages of extreme climates this salsa features habaneros, jalapenos and Mo's signature garlic. Great taste and decent heat... My favorite so far.